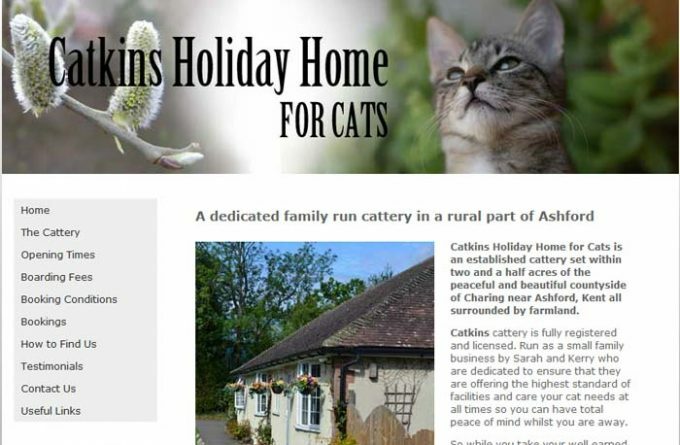 The family-run Catkins Holiday Home for Cats is set in two and a half acres countyside in Charing, near Ashford. Cats are housed in spacious heated and insulated purpose-built chalets, with covered runs. The cattery also has a family block, designed to accommodate a family of up to 4 cats. For more information about Catkins Holiday Home for Cats, you can visit them in person, visit their website, telephone or send them an email (if available) using the form below.